For 17 years, Miyuki awed guests with her candy craftsmanship. Amezaiku is the traditional Japanese practice of molding hot candy into artistic shapes before it hardens. This feat, traditionally accomplished by experienced craftsmen in front of a crowd, was once thought to be a fading art. But it’s been given a second life by social media and new brick-and-mortar stores. Until recently, American audiences could watch an amezaiku artisan at work in an unlikely place: the Japan Pavilion inside Disney World’s Epcot. Known to the public as “Candy Miyuki” or, more recently, as “Candy5,” the artist deftly twisted figurines out of candy there for 17 years. 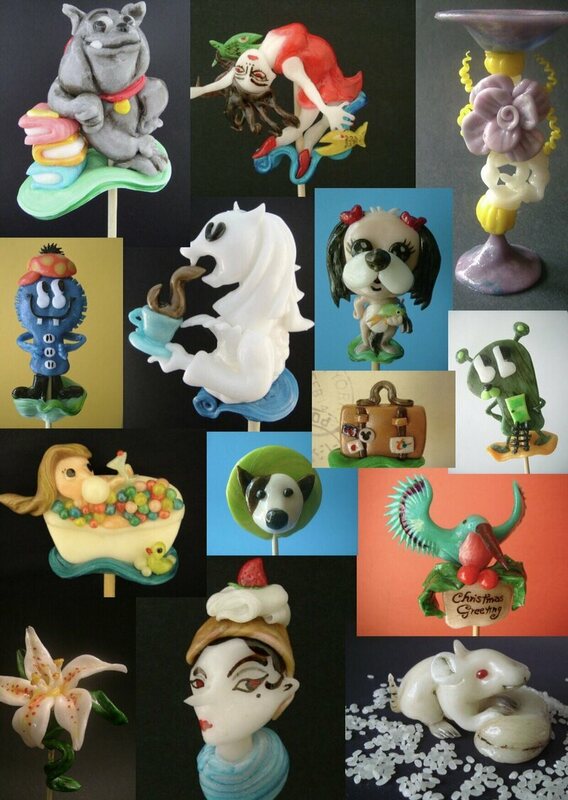 Miyuki left Disney in 2013, and is now a freelance candy artist. 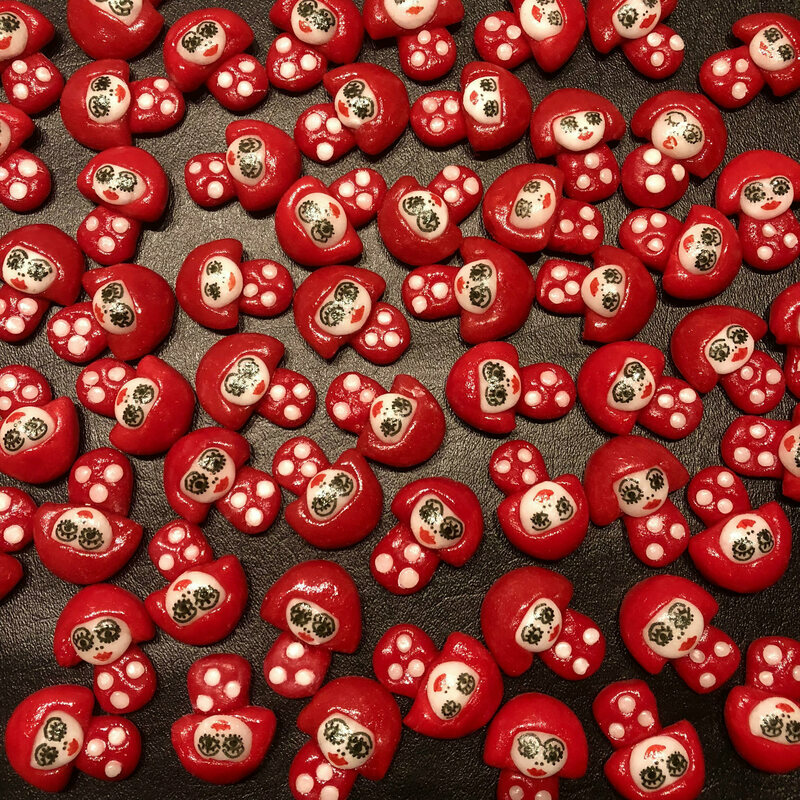 Just last week, she made sweet treats for the preview of a Yayoi Kusama exhibition at the Tampa Museum of Art, riffing on both that artist’s famed silhouette as well as her “dot” motif. Miyuki’s primary medium is glutinous starch syrup, which is heated to 200°F and then pulled like taffy. Each piece starts with a golf ball-sized lump of hot candy impaled on a stick. With food coloring and a few judicious snips from custom-made Japanese candy scissors, she can produce anything from a purple pig to a glittering dragon in mere minutes. The road to sugar stardom was bumpy. According to Miyuki, she is the first female amezaiku artist to receive formal training in the practice. 25 years ago, while living in Japan, she went through a divorce. Needing a job, she prayed every night for guidance from her long-passed father, a former newspaper writer. Then, picking up a newspaper one day, she came across an interview with an amezaiku artist. “This is my new job,” she remembers thinking. To this day, she considers it a “nice message” from her father. So Miyuki set about finding a candy-making teacher in Tokyo, which was a challenge during the pre-internet era. Miyuki ended up calling her local police station to ask if they knew about any candy artists. One policeman protested that amezaiku was “old culture,” and that it would be impossible to find a practitioner. But another officer pointed her towards the director of an Edo-era (1603-1868) cultural festival, who gave her the number of Takeo Kimura, an accomplished amezaiku artist. Miyuki’s first encounter with her teacher-to-be was less than ideal. During their first conversation, he told her he didn’t want to teach a woman. Miyuki says that until recently, that was a typical attitude. Craftsmen usually wanted to pass their arts down to male heirs, while women were encouraged to be housewives. Regardless, she became his student. He taught her what she considers the essential forms of amezaiku, the 12 animals of the Chinese zodiac. Miyuki learned the “eastern” style of amezaiku, which relies on hands and scissors to make the final creation. Another “western” variation, she notes, uses a straw to inflate sugar sculptures with air, giving them a round form. But the practice was deemed unsanitary in Japan a generation ago, and now it’s relatively rare (Miyuki also notes that inflating the sugar sculptures makes them more fragile). But Miyuki was Kimura’s last student: The elderly artist died a year after they met. Miyuki practiced making her sugar sculptures, and soon Disney came calling. American administrators wanted an amezaiku artist at Epcot, and put in a call to Tokyo Disneyland. Miyuki sent in an audition tape, and in 1996, she moved to Florida with her young daughter for the job. 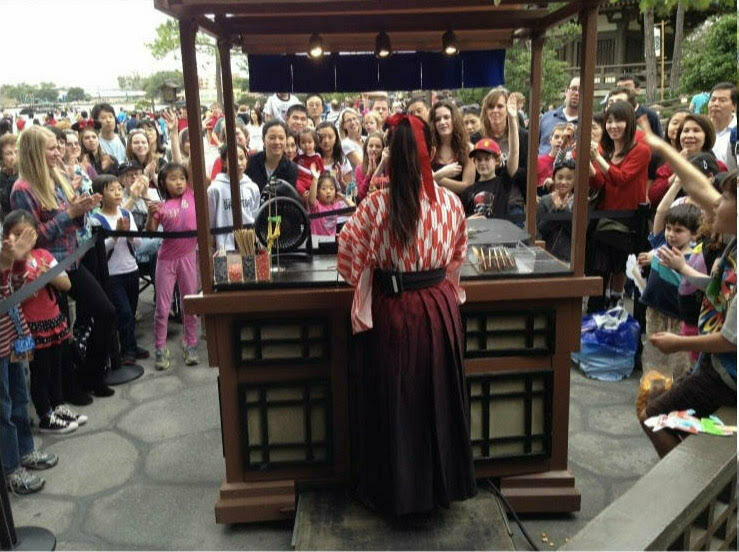 At her booth in the Japan Pavilion, Miyuki made her signature sugar sculptures in front of awed guests, with one lucky spectator able to take the final piece home. The most requested shapes, Miyuki says, were dragons and unicorns. While she’s able to whip those up in two minutes, Miyuki’s favorite thing to make are elaborate candy faces, which can take up to half an hour each. The traditional art form does have its challenges. While Florida is known for its balmy weather, the cooler winters meant that her candy would harden faster: In summer, she could take three minutes per work, while winter shortened the candy’s malleability to a minute. Plus, there were cultural differences. Sometimes guests, especially children, noted that her final candy sculptures weren’t tremendously sweet. According to Miyuki, Japanese candy contains less actual sugar than American sweets. “There’s too much sugar in America,” Miyuki says. Miyuki’s career at Disney wasn’t uninterrupted. Disney briefly laid her off when the U.S. economy dipped in the early 2000s. But it wasn’t long before she was asked to come back, something she attributes to the demands of guests who loved watching her work. When she left in 2013 for New York, it was her own decision. 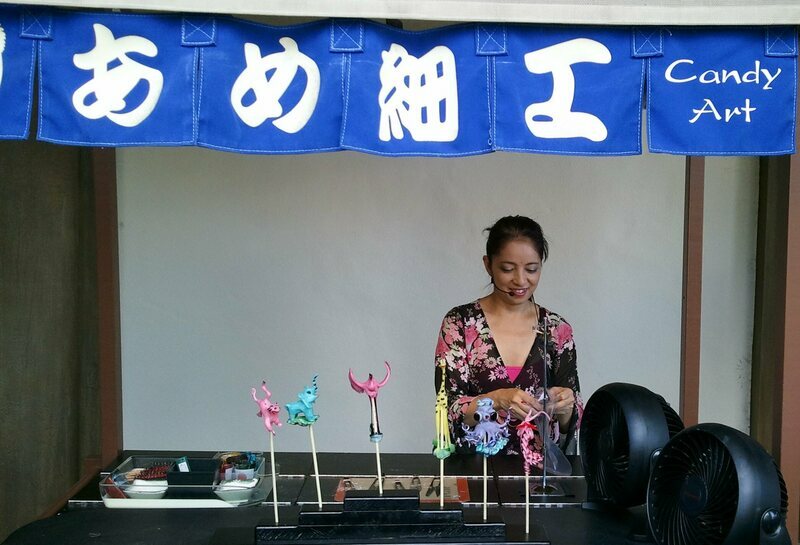 Now, she makes candy for cultural events and parties. 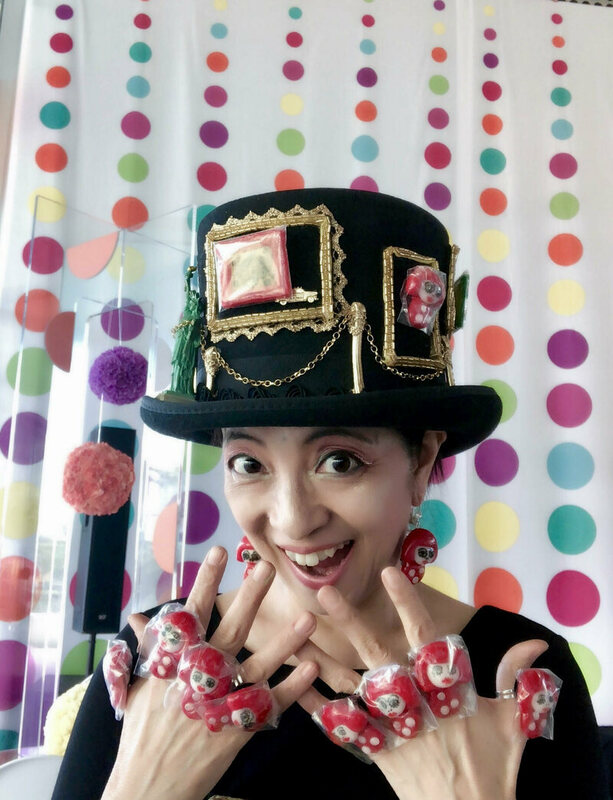 “Candy art is very rare Japanese culture,” she says, and she hopes it will become even more popular. While there’s no more Candy Miyuki at Epcot, her legacy continues in a different way: Miyuki’s daughter now works for Disney World as a dancer.